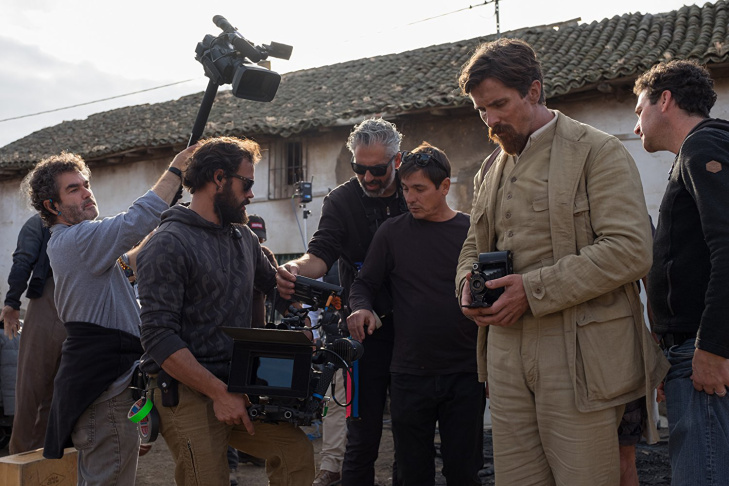 Joe Berlinger's documentary, "Intent To Destroy," was partly filmed on the set of "The Promise," a feature film that co-starred Christian Bale (in beige suit). 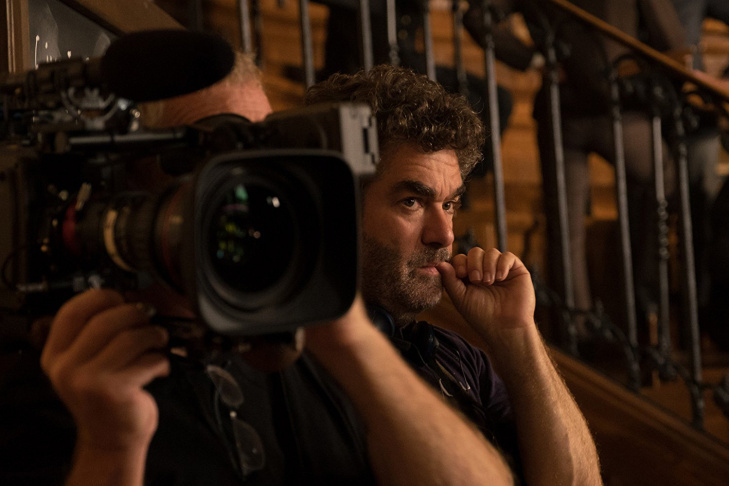 Director Joe Berlinger filming his documentary, "Intent To Destroy." Historical image shown in Joe Berlinger's "Intent To Destroy," about the Armenian Genocide. Joe Berlinger’s documentaries, which include "Paradise Lost" and "Brother’s Keeper," have often focused on the justice system. His new film, called “Intent to Destroy,” takes an unusual angle about what many people consider to be a miscarriage of justice. The film looks at how Hollywood has depicted the Armenian Genocide, and how it also has been pressured — and agreed — to ignore that story. 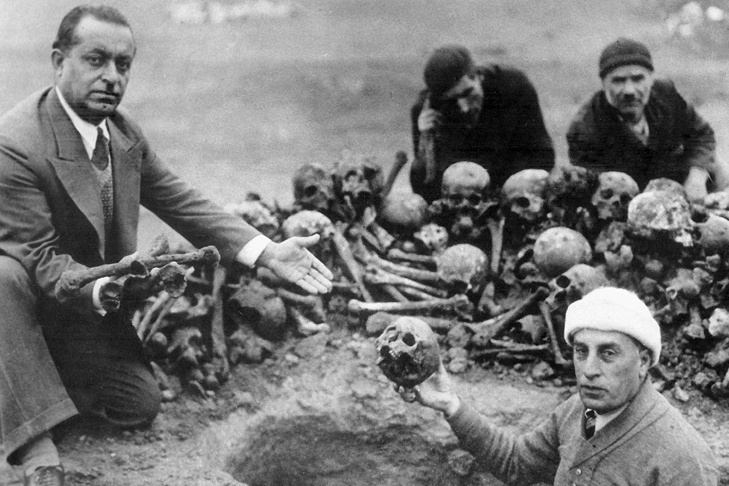 The Turkish government refuses to acknowledge — and even denies — what historians broadly agree was the Ottoman Empire’s extermination of about 1.5 million Armenians starting in 1915. Berlinger takes an interesting approach to telling this story. He frames his documentary around the making of another movie — last year’s historical drama, "The Promise," directed by Terry George and starring Christian Bale and Oscar Isaac. The film is set in the Ottoman Empire on the eve of World War I and follows Isaac as a young Armenian medical student. The Frame's John Horn recently spoke with Berlinger. In the documentary, I have a lot of the real actors — some of whom are of Armenian descent — telling me how they feel and they're in absolute tears. Along the way, I'm able to intercut actual survivor testimonies of those who survived those massacres and to bring in documentary elements and photographs from the time. So the documentary becomes much more graphic than a feature film could be, but the two work together and reflect off of one another. One of the concerns of mine is, how do you represent atrocity on screen, as well as the underlying theme that whoever controls the narrative actually controls the history? And how the story has been depicted over the years has determined why we're in a situation where there's been this terrible slaughter of the majority of Armenians living in Turkey in 1915, and yet it's considered contested history today. Even though I've been fascinated by the Armenian Genocide ... I never felt like I had anything to add to the dialogue. 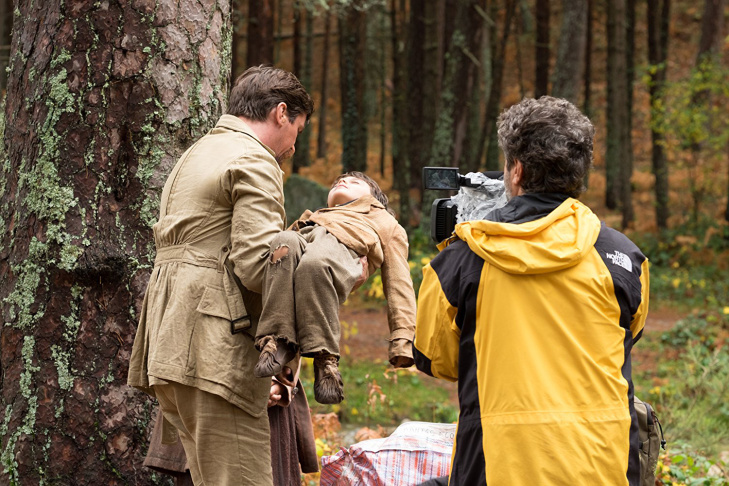 I never thought about making a film until I heard that "The Promise" was being made and I thought that would be a great way, from a filmmaking standpoint, how to bring a historical subject to life. So I thought that by embedding with the making of a big budget film on the subject, I could then pull the frame out wider and tell the historical context and give the audience a digestible way to consume all of this information by being in the present tense and telling an unfolding story. But there's a larger thematic reason that embedding with "The Promise" really made a lot of sense to me. That's because the basic facts of the genocide as a documentary has been done before. That's not what's interesting to me. What's interesting to me as a filmmaker, where I feel like I'm adding to the dialogue, is to paint a portrait of denial — the aftermath of denial, the impact of denial, how denial works. It allowed me a perfect device to tell that story, because part of the denial is that any time Hollywood has, over the decades, attempted to tell a story that has the Armenian Genocide as its backdrop, generally speaking, the Turkish government complains to the State Department and the State Department has persuaded Hollywood studios to drop these projects. Most notably, as early as 1935, Irving Thalberg at MGM was making the film, "40 Days of Musa Dagh," which — at the time — was one of the most popular novels in the world and it was the story of Armenian resistance ... during the Genocide. That movie was in pre-production at MGM and the State Department convinced MGM to drop the project. It's been a taboo subject over the decades. This is just a partial transcript. For the full interview please press the play button at the top left.